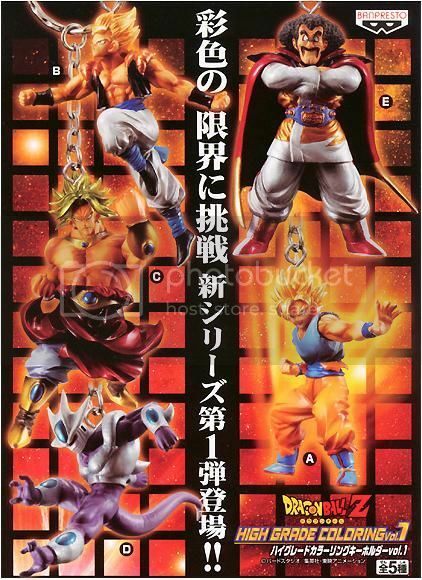 omg there's a boss rabbit! 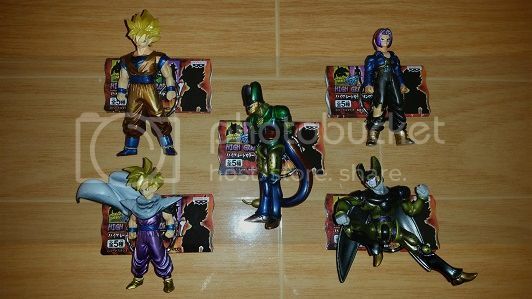 I got boss rabbit coming in the mail! 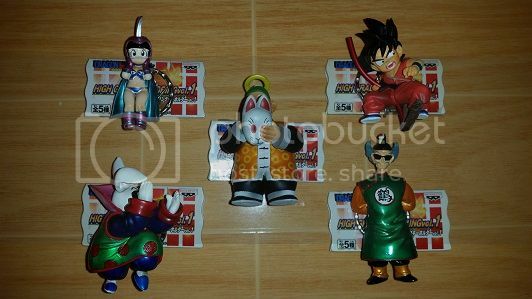 I got Boss rabbit today. 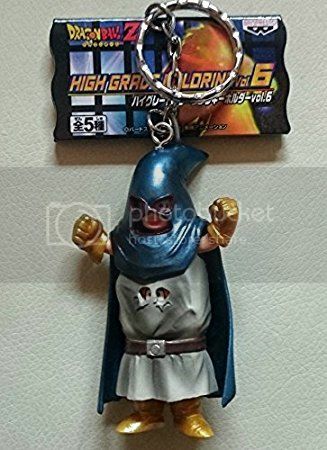 i hook him up with a HG stand. 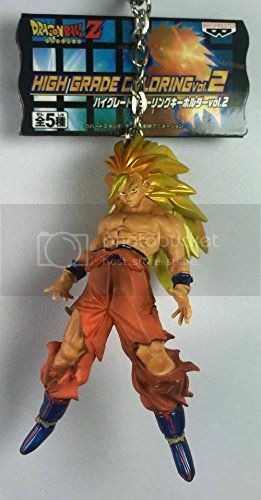 Nice catch there, how does he scale? 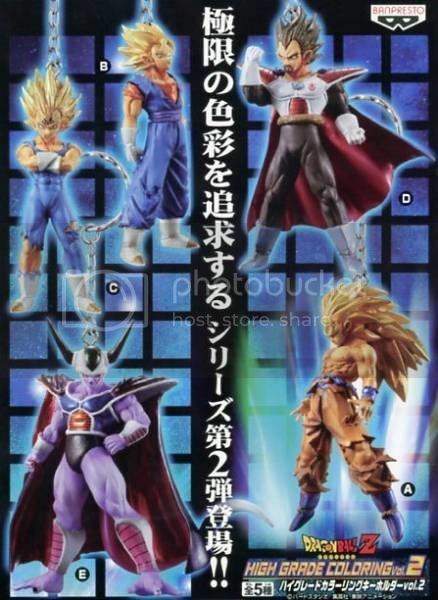 Boss Rabbit looks cool! 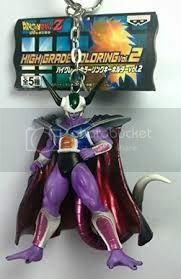 Scales well with your HG too. 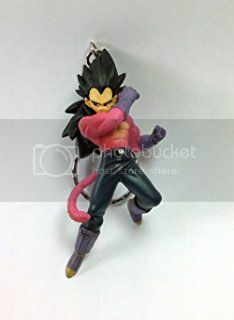 Wow thank you so much for putting this list up for us. 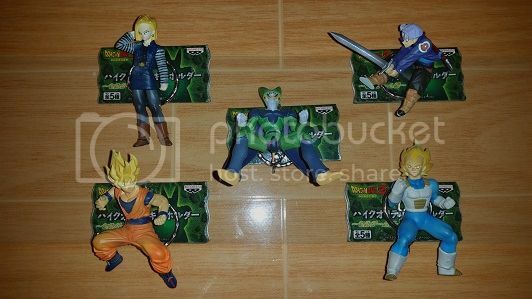 I have really been wanting to start collecting these. 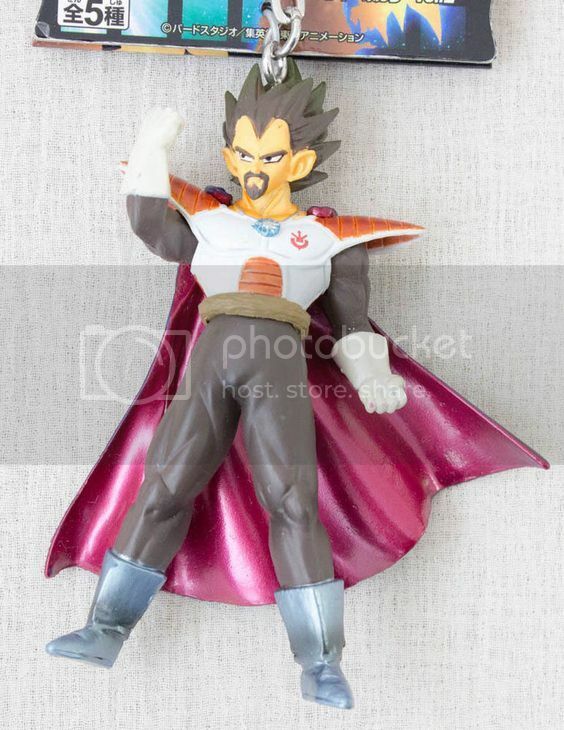 I just got the king vegeta in the mail. 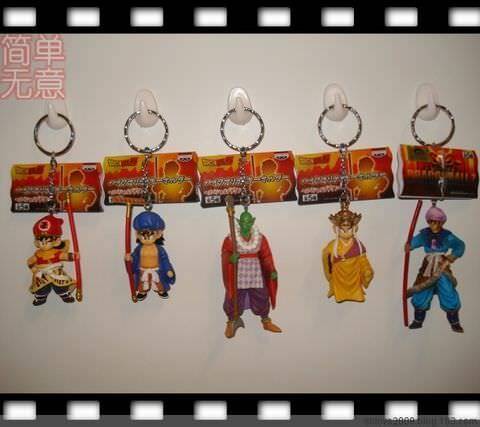 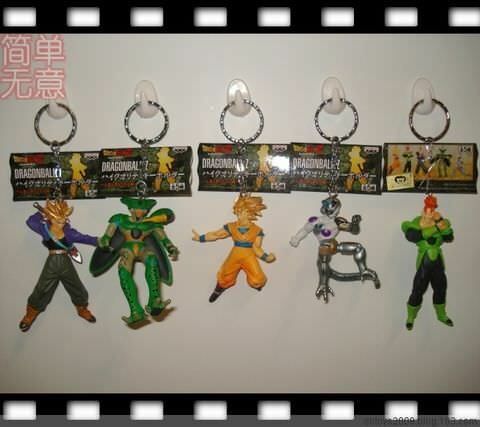 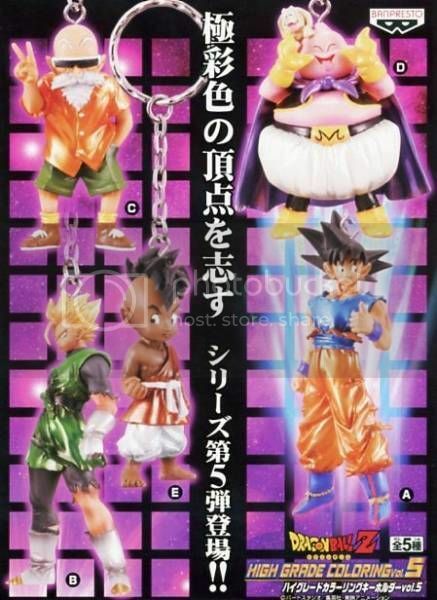 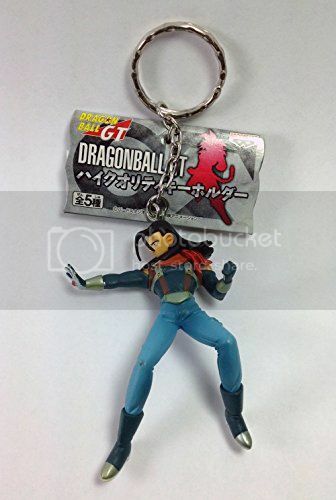 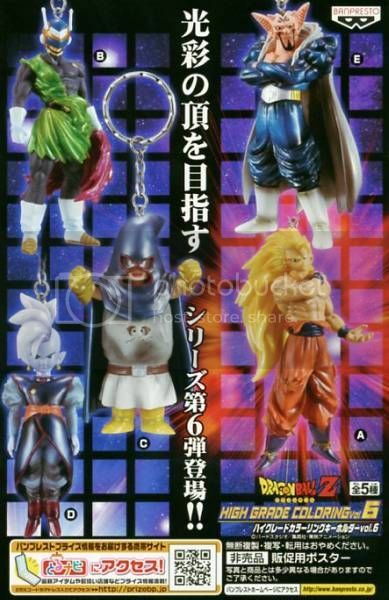 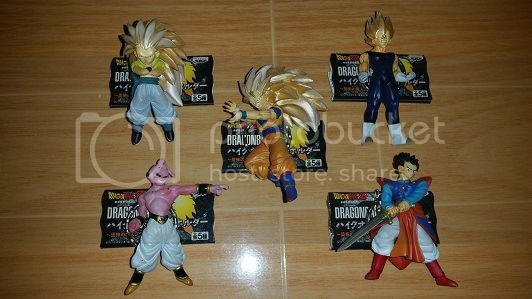 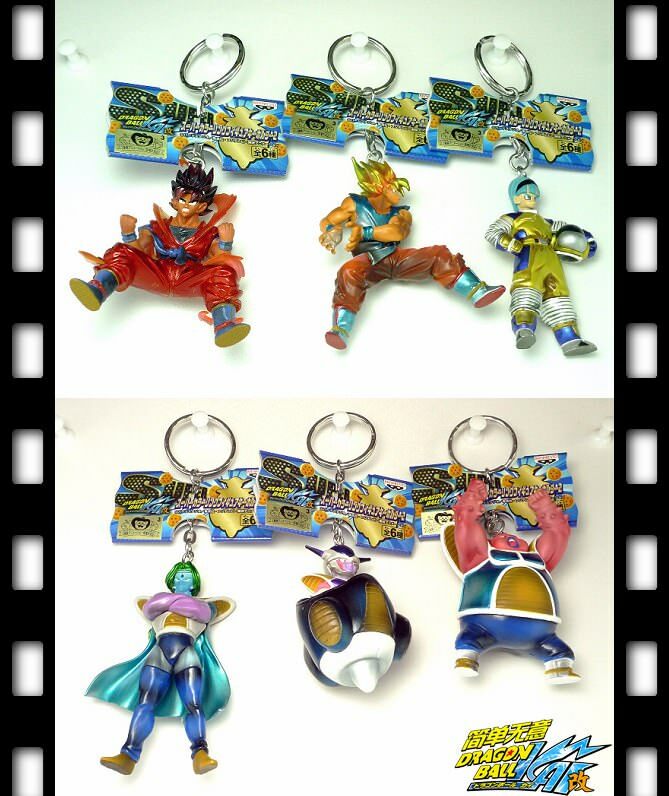 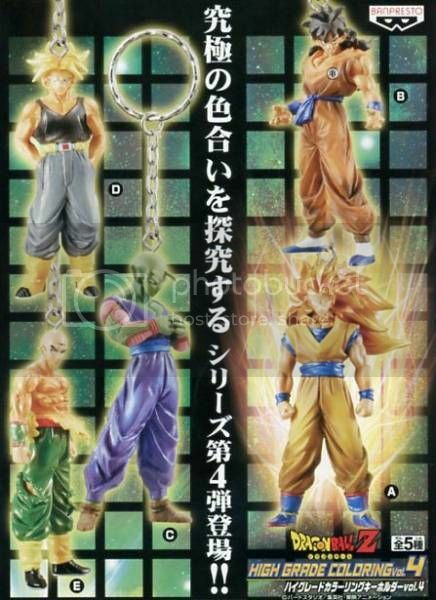 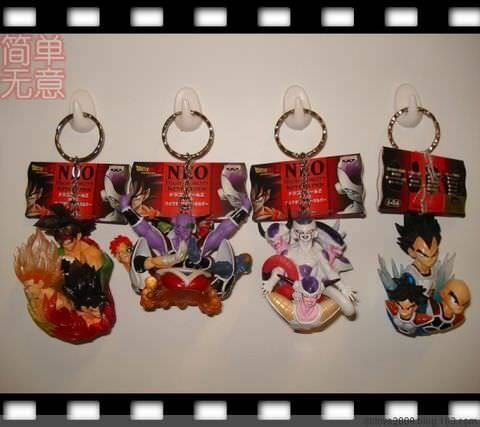 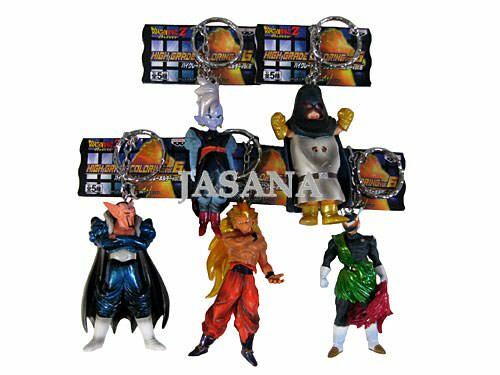 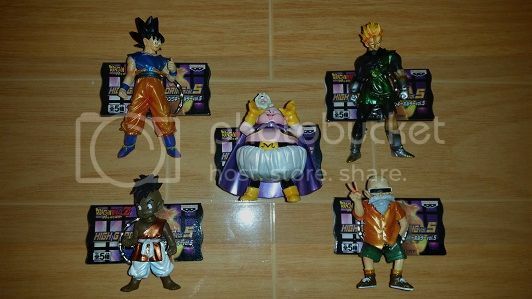 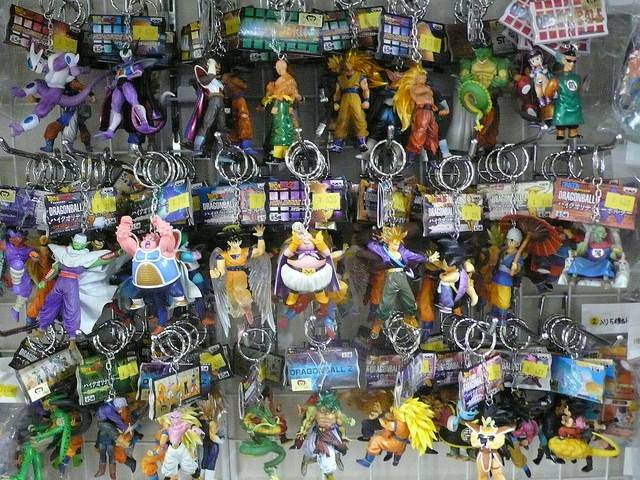 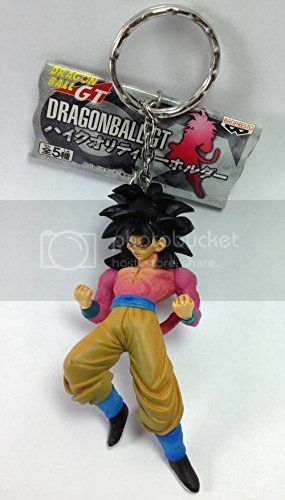 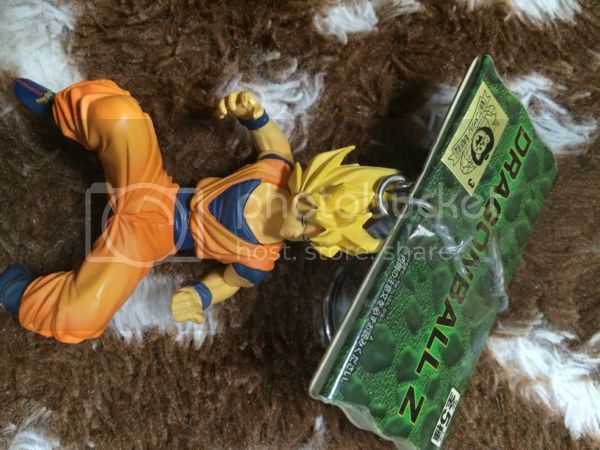 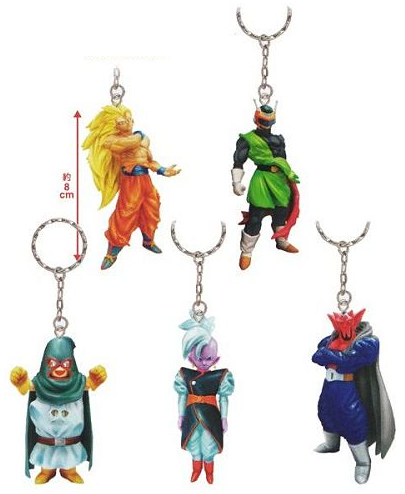 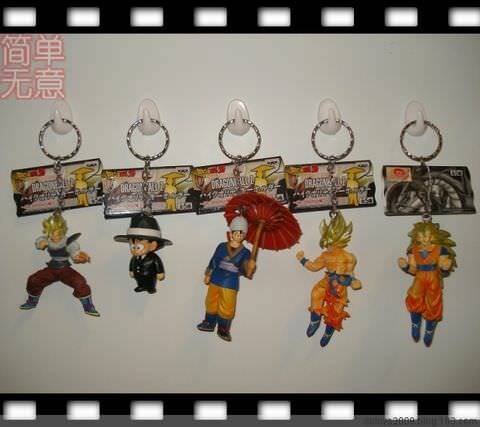 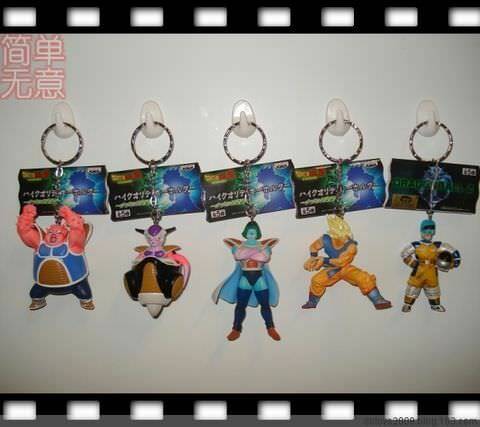 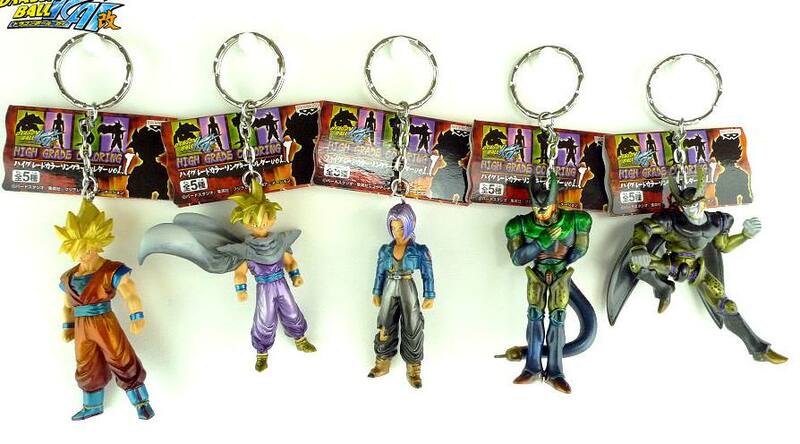 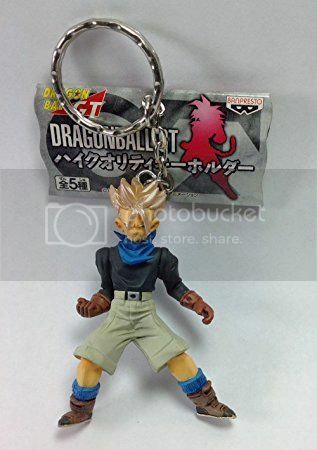 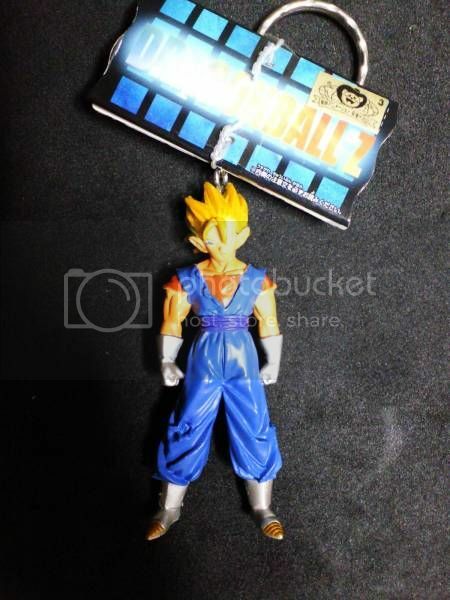 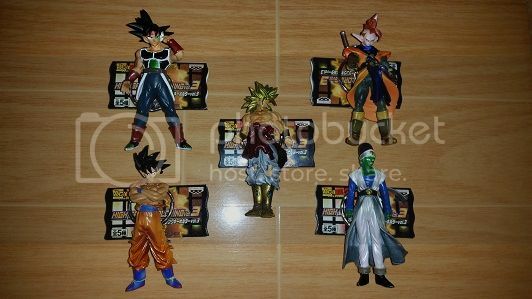 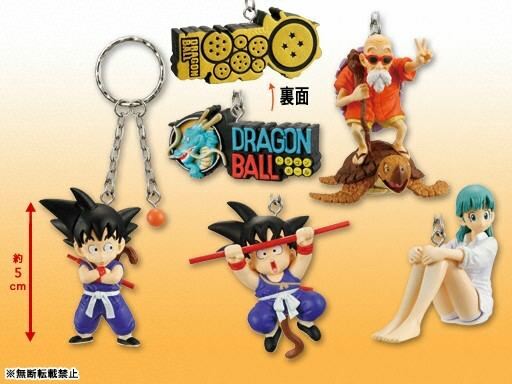 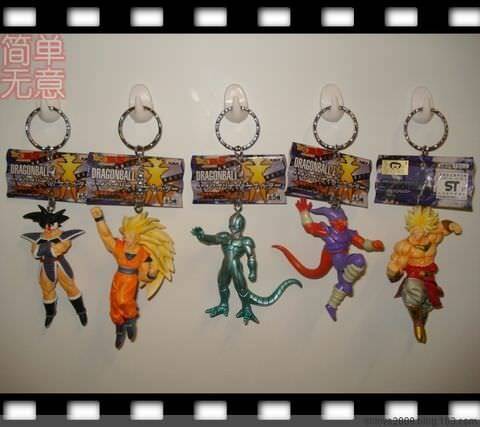 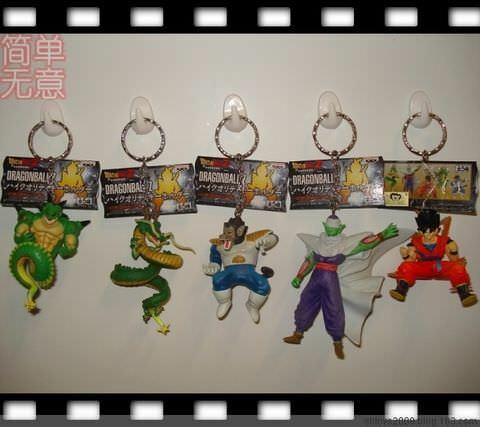 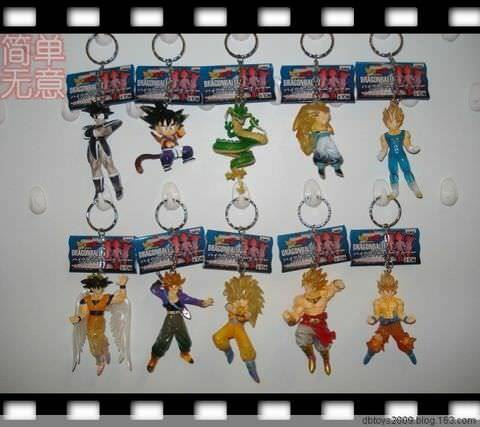 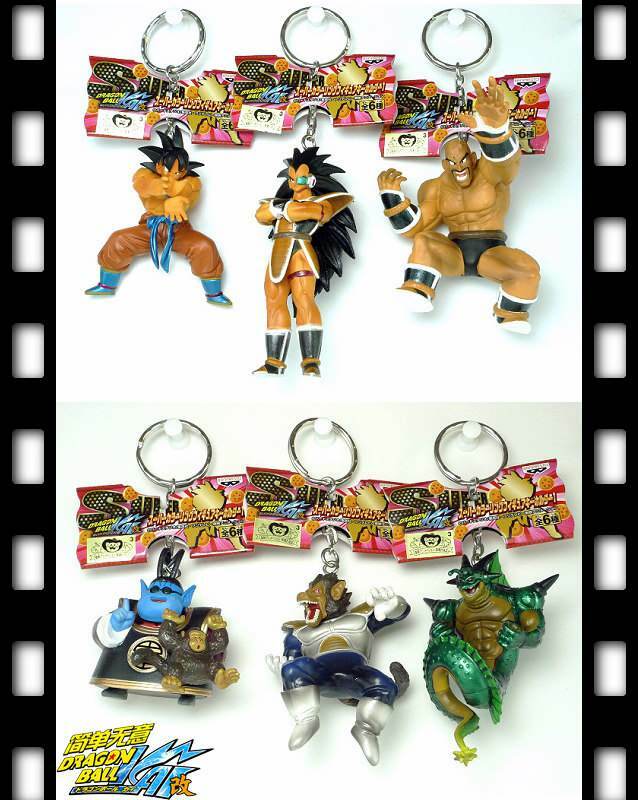 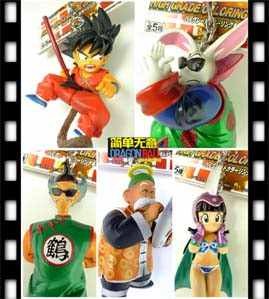 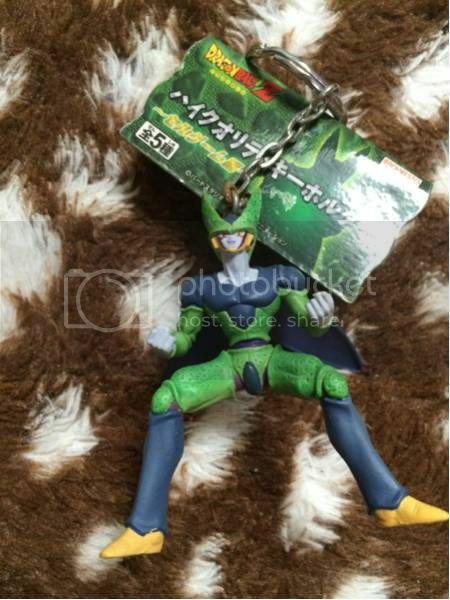 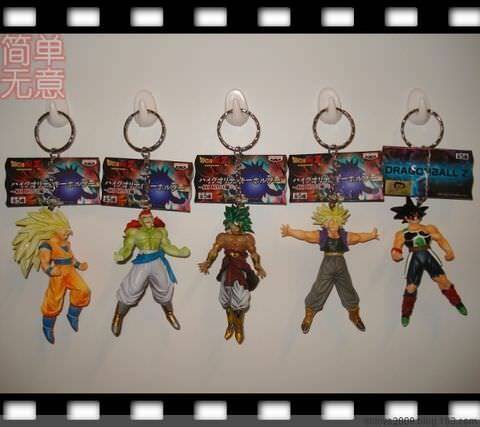 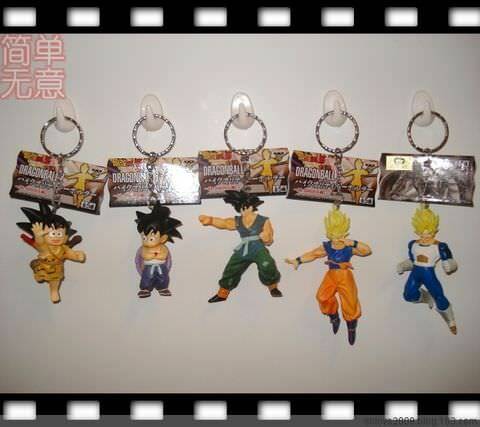 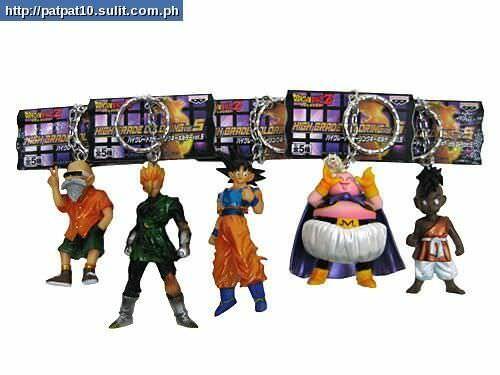 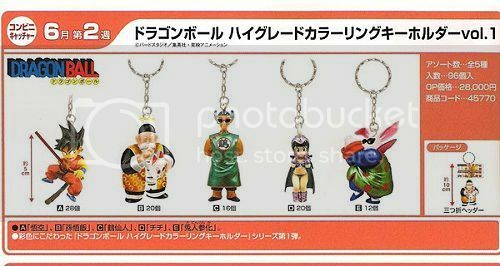 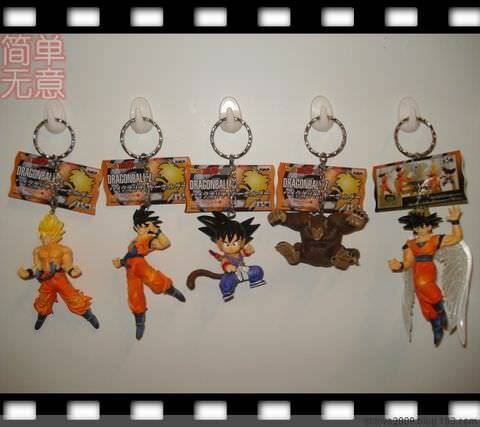 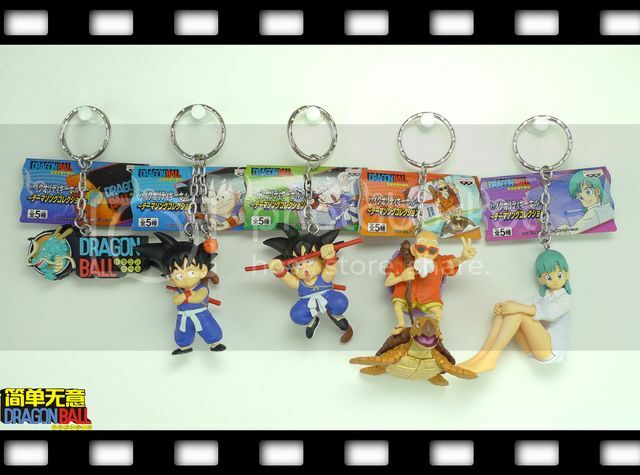 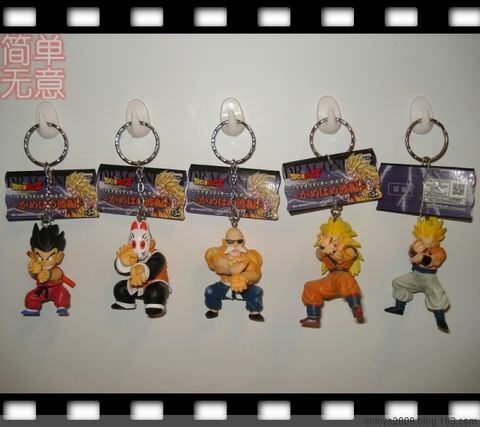 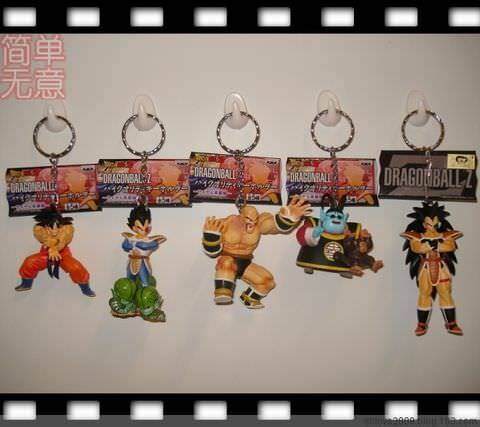 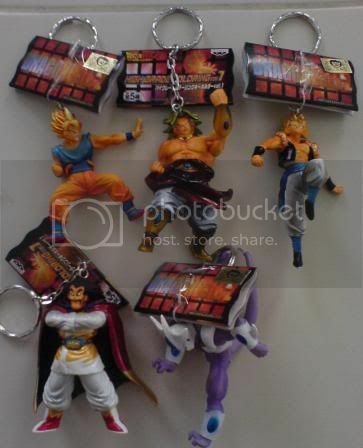 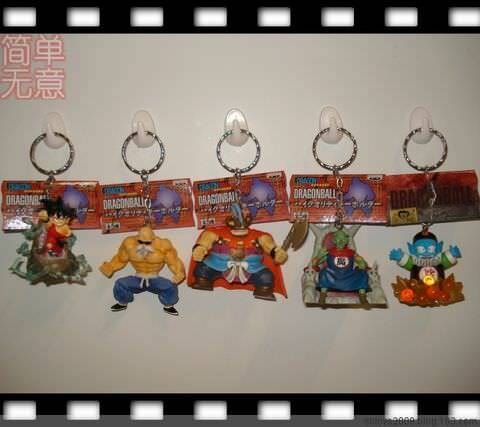 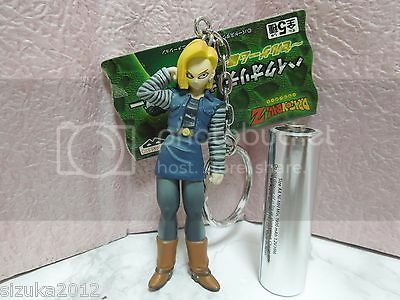 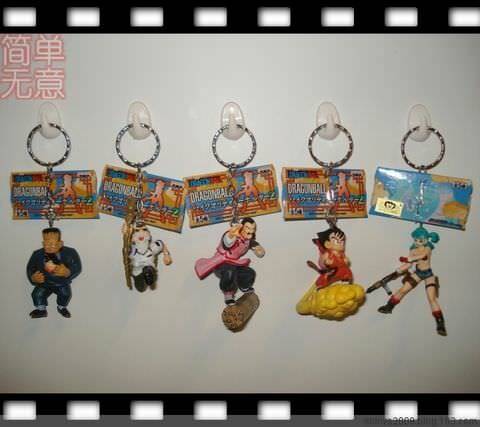 I am dying to buy the journey to the west monkey king keychains tho. 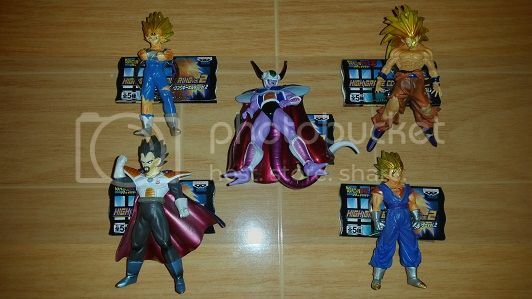 They look awesome. 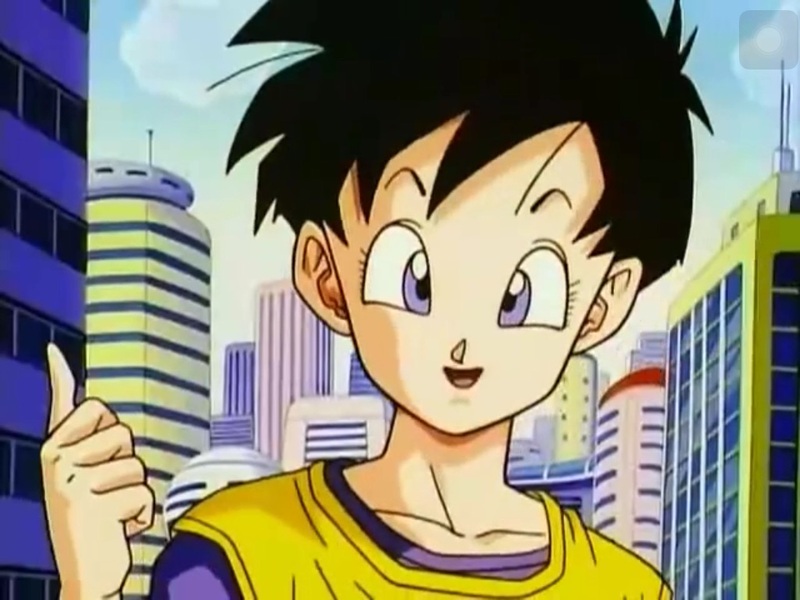 Thx again. 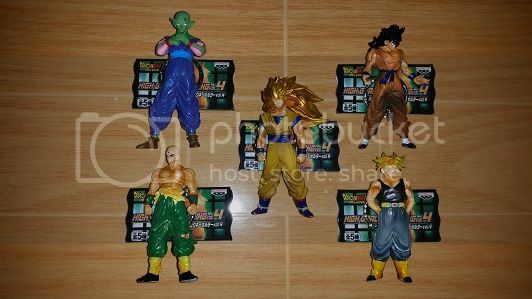 does anyone have the updated pics that m5 posted? 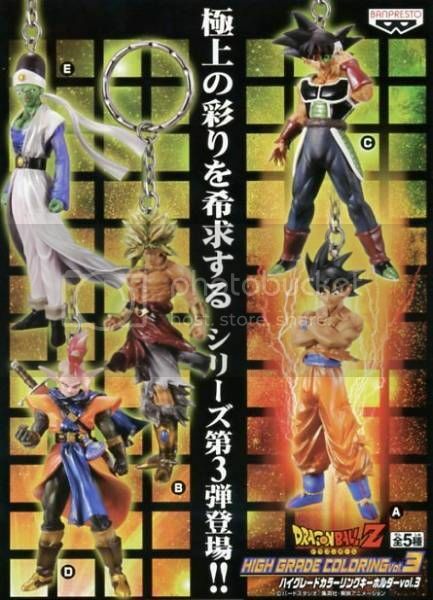 I don't see this set here either but both sets are hanging from the rack in the store display. 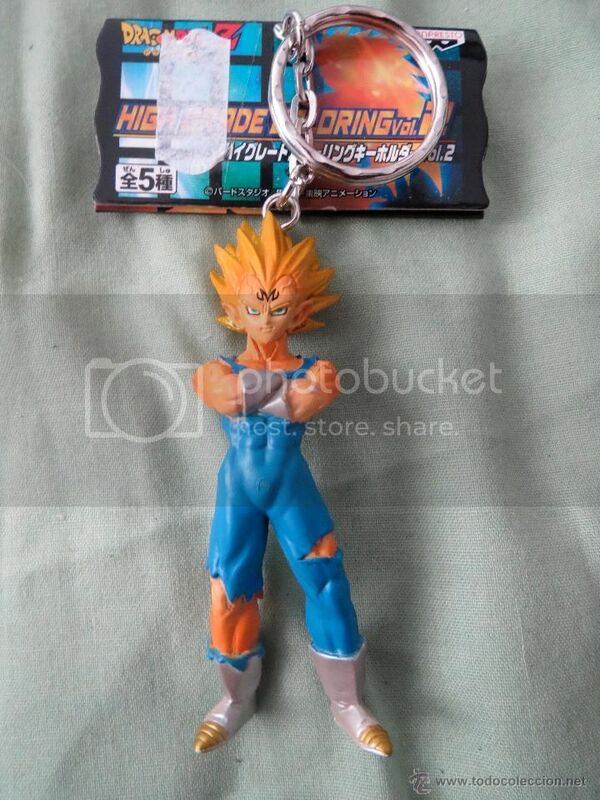 I think the keychains on the larger reddish-orange cards are,"High Grade" as well. 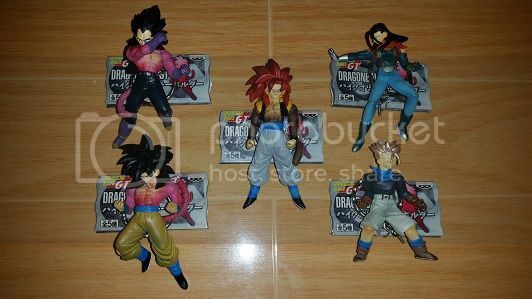 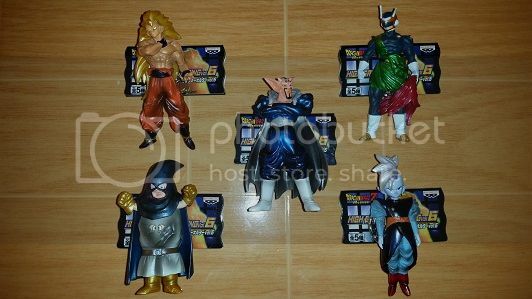 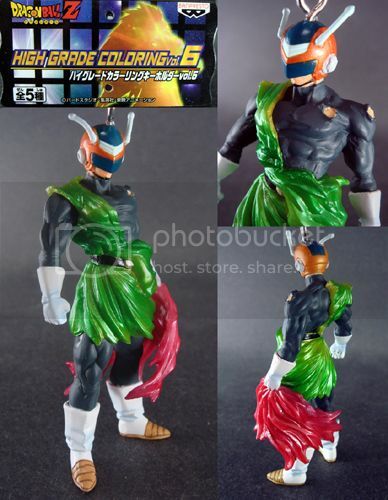 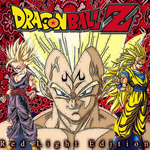 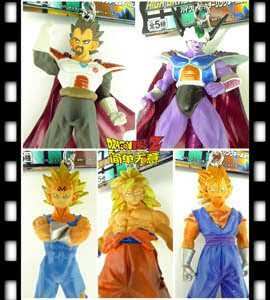 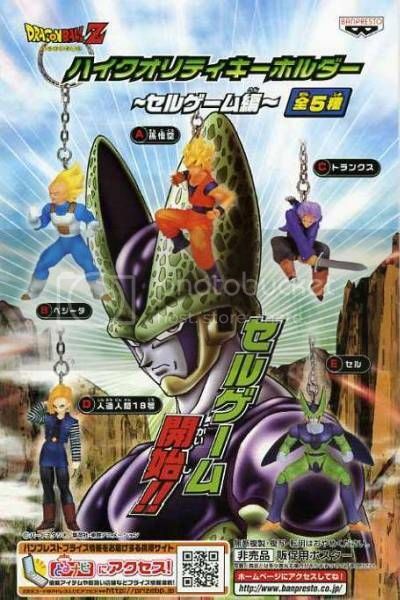 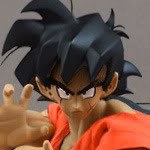 Eight of these banpresto sets are titled High Grade Coloring, specifically.